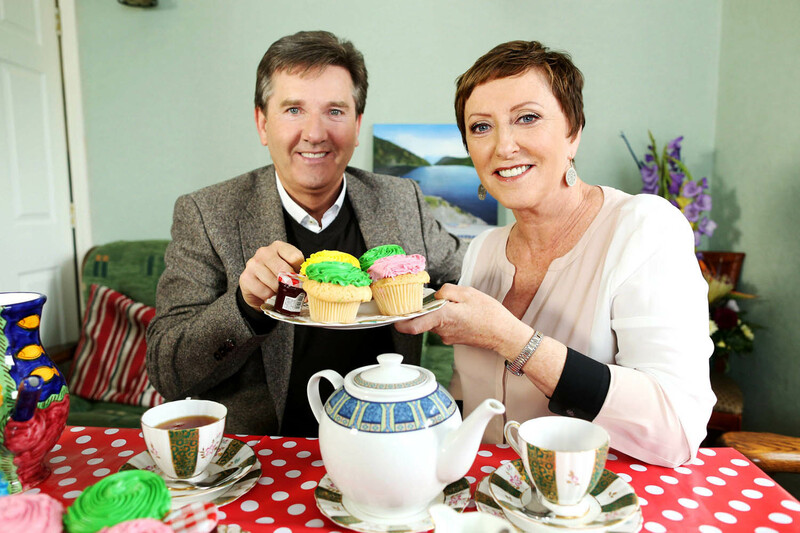 UTV Ireland today announced that filming is set to begin on a brand new travel show starring Daniel and Majella O’Donnell. The new six-part series called ‘Daniel and Majella’s B&B Road Trip’ is a reality travel show with a difference. The popular couple will take to the road visiting areas of natural beauty and taking in all that Ireland has to offer, while staying only in B&B accommodation throughout their trip. Their B&B hosts will act as tour guides, showing them around the area and, as well as sharing stories across the dinner and breakfast table, local performers and characters will make cameo appearances for evenings of ‘craic agus ceoil’ with entertainment from Daniel and other local performers. 02/06/2015 NO REPRO FEE, MAXWELLS DUBLIN. 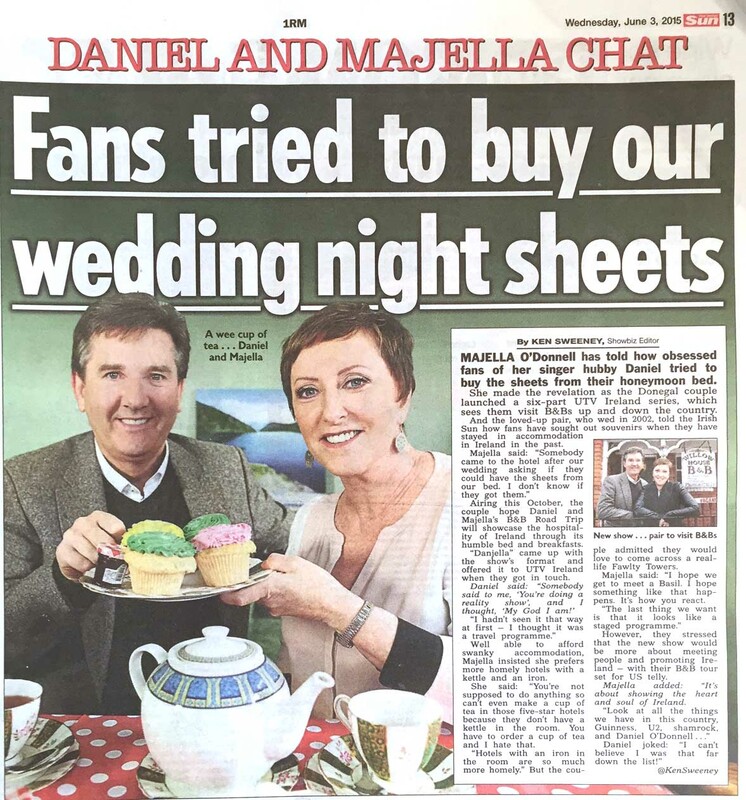 Pictured are Daniel and Majella O’Donnell at Willow House B&B, Drumcondra, Dublin 9. 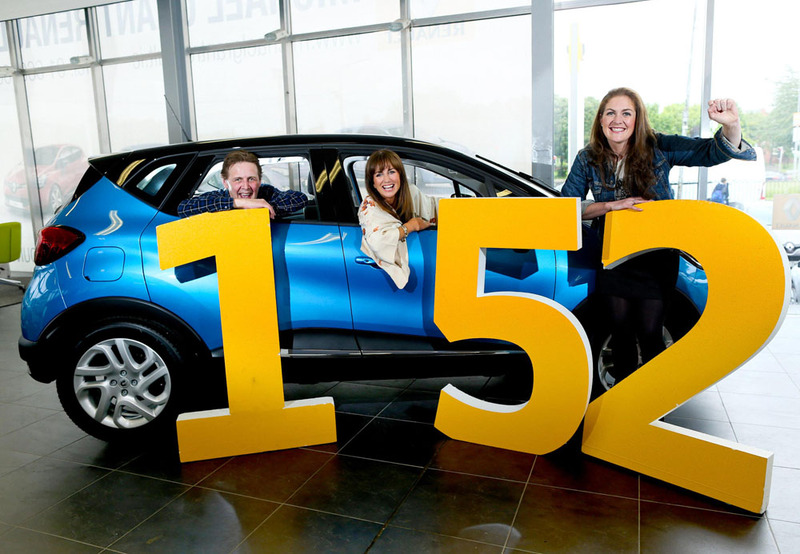 Renault Group ambassadors; (l to r) TV presenter Lorraine Keane, broadcaster Ian Dempsey and rugby hero Fiona Coghlan were on hand today to get the news out just in time for the launch of Renault’s 152 summer campaign. 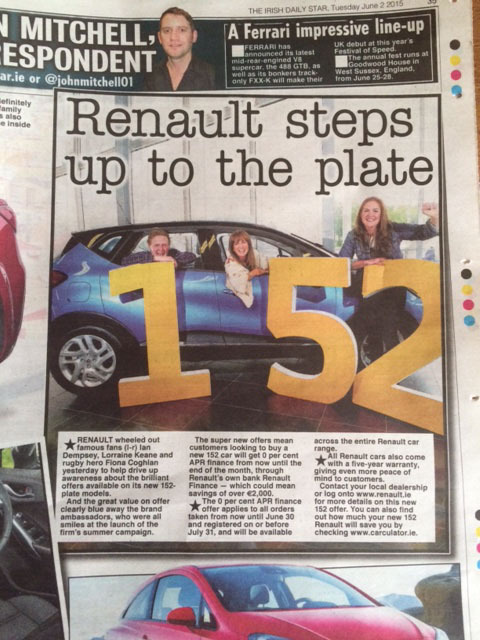 Customers looking to buy their new 152 car will get 0% APR finance from today to the end of June, through Renault Finance, Renault’s own bank, which could mean savings of over €2,000. The 0% APR finance offer applies to all orders taken from now until 30th June, and registered on or before the 31st July 2015 and will be available across the entire Renault car range. All Renault cars come with a 5 YEAR WARRANTY across the range, giving even more peace of mind to customers.